Scott Hewett is a contemporary realist, muralist, illustrator, and musician residing in Sag Harbor after living in Bradford, Massachusetts. Since the first grade, he has followed his life passion for art and never looked back. In addition to crafting his own work, he aids in the creativity of others with private workshops for all ages and levels. Hewett brings his artistic style to life through multiple canvases, ranging from wall art to footwear. What are some basics you teach? Can anyone be an artist? I teach basic painting and drawing for students of all levels. I think everyone has some creative juices deep down. Like anything, it takes a lot of practice and research to perfect a craft. My philosophy is this, if you have some talent and it is nurtured by a good teacher, you will most likely be successful. How has life changed, moving from Bradford to Sag Harbor? I love both areas. Here, because we are surrounded by water and salt air, which makes the landscape glow golden. I moved here while working for Reebok. My boss was kind enough to let me work off location. I was stressed and overworked because of multiple projects. It was a great trade off. It also allowed me to connect to the art world in the Hamptons, where I started painting prolifically and showing in local galleries. You’re also a footwear designer? I designed footwear for several companies. [For] Reebok, I designed for the elite athletes, such as Shaquille O’ Neal, Allen Iverson, and Greg Norman to name a few. I was the go-to guy. As a senior designer, my strongest attribute was being the conceptual guru. I started at Stride Rite, designing children’s shoes. You also custom design surf and snow boards. are you a surfer/snowboarder? I am a skater both, inline and ice, [and play] golf, hockey, just about every other sport but those two. I like painting on surfboards because of the shape. It’s a totally different format than canvas. Plus they look cool! What’s the emotional difference between working on a wearable canvas and wall art? Art is art and no matter what surface you create on, it’s always fun. I love painting and do so every day. I like to paint a lot of subjects. I am most fond of painting objects loaded with color and texture. Old trucks, gas pumps, and old signs because they decay naturally. The rust and patinas are so beautiful. Some may say they look ugly, but I say awesome, nothing better. Enjoy life every day and try not to take yourself too seriously. Where do you go to reconnect as an artist? Montauk, period. It’s beautiful and mysterious. I love driving out with friends, family, or sometimes solo. Other artists you’ve looked up to or emulated? So many. Homer and Sargent when I was younger, all of the impressionists, contemporary artists Francis Bacon, Davis Salle, Damien Hirst, Jasper Johns, Marshall Arisman, and James Rosenquist. See Scott Hewett’s works, along with those of June and Penny Kaplan, at The White Room Gallery’s “Premium Blend” exhibit. The opening reception is this Saturday from 5 to 7 PM. The show will run through April 8. 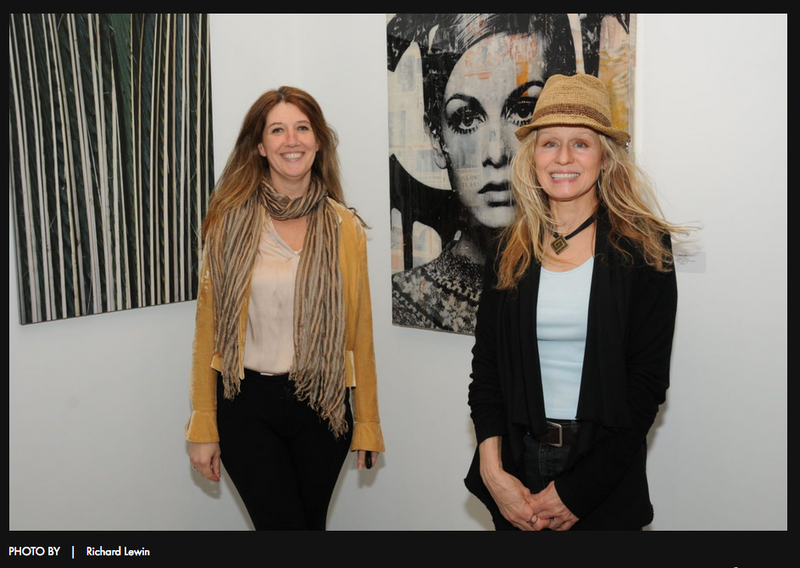 The White Room Gallery is located at 2415 Main Street in Bridgehampton and can be reached by calling 631-237-1481.